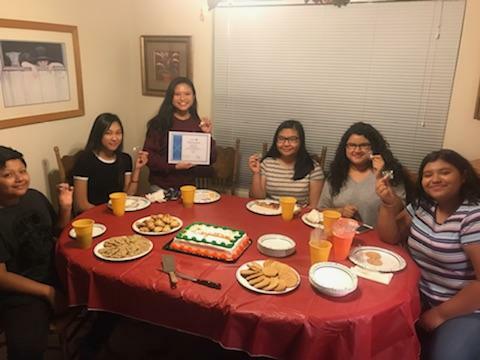 The Rotary Club of Palmdale welcomed six students as official Rotary Interact Club Members from Pete Knight High School on Wednesday, October 18, 2017. 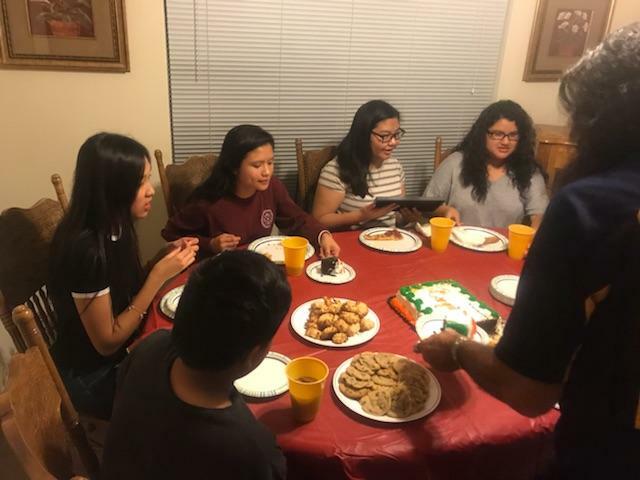 Rather than the usual Wednesday Business Meeting, Palmdale Rotary planned a bit of a surprise and hosted the students at Janice and Sam Garcia’s home with a pizza feed and dessert along with the presentation of the Interact Club’s Certification. 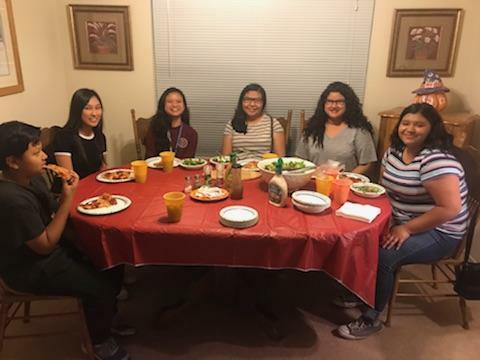 Club Members included: Ivy Ta, Louise Candeloza, Argelee Mamangun, Monica Ayala, Paola Sanchez, Elias Sanchez, and their teacher Liaison Joy McCall. 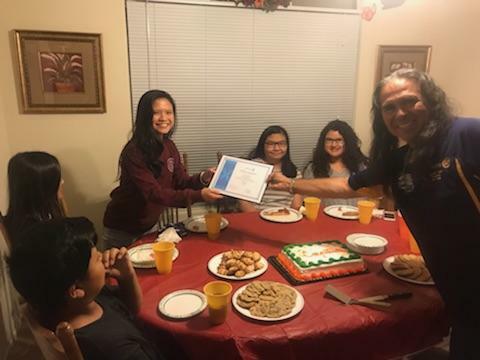 After feasting on pizza, President Sam Garcia presented the official Certification document to Interact Club President Louise Candeloza. In addition, each member present received an Interact Club pin. After the presentation, Sam cut the congratulatory cake and served it to the new Interact Club Members. It was a fun time for all who attended and a great addition to the Rotary Club of Palmdale.